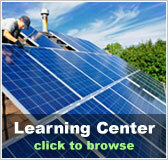 Arizona residential solar energy incentives | Solar Panels | Solar Power | Site Map | Bookmark This Site! A personal Tax Credit of 25% is available as an incentive for installing solar and wind energy systems in your home. There is an upper limit of $1,000 regardless of the number of devices installed. The Solar Energy Property Tax Exemption in Arizona allows residents to claim 100% of the increased value after installing a solar energy device that provides heating and cooling without using conventional power sources. 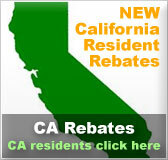 People are 100% exempt from sales tax on a solar power device which is purchased and installed in their residence. 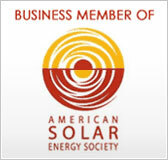 Be sure to only buy solar energy devices from a retailer that is registered with the Arizona Department of Revenue. This incentive is designed to encourage environmentally responsible building by incorporating resource and energy-efficient materials and methods in the design and construction of homes. With the Green Building Incentive projects receive building permits in two-thirds of the time as regular projects depending on degree of difficulty. As part of the plan review and approval with this incentive, development process and technical assistance is provided. Arizona Public Service offers a GEOSmart Financing Program for residential solar energy generating systems. This program helps one get a loan of up to $50,000, at low interest rates of 7.99% to 12.99%, for 10, 15 and 20 year terms. This is to encourage people to finance solar energy technologies in residential areas. Another program by Sulphur Springs Valley Electric Cooperative also offers loans for residential and commercial properties. These loans are for Wind and Photovoltaics technology energy generating devices. Loan amount offered is $2.00 per SunWatt produced, with a limit of 25% of the total cost of the project with an interest rate as low as 3%. Arizona Public Service offers customers who install renewable energy sources the option to sell the credits connected to the energy generated to APS. The solar technologies eligible for a rebate include photovoltaic, solar hot water, solar HVAC and solar day-lighting systems. Up-front incentives for PV might be de-rated based on expected performance. Small solar electric system- Up until April 30, 2010 when you install a small solar electric system, SRP will help settle your cost with an incentive of $2.25 per watt, up to $45,000. Large solar electric system- When you install a large solar electric system, SRP will help defray your cost with an incentive of $2.25 per watt, up to $450,000. The incentive is adjusted based on the expected energy generation which is confirmed during a 30-day performance test. Solar water heater- SRP commercial customers who install a solar water heating system qualify for an incentive of $0.50 per kWh of metered first year energy savings, up to $250,000. This program provides incentives to SSVEC members for the installation of qualifying renewable energy systems including solar, wind and biomass technologies. SSVEC will provide incentives of $4.00 per installed watt, or up to 50 percent of the total installed cost of the system, whichever is less. Residential PV (on-grid): $3.00/W up front for qualified systems. 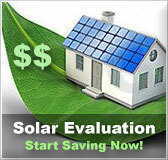 $0.50 per expected first year kWh savings for solar water heaters. The incentive can not exceed 50% of the total system cost. UES offers customers who install renewable energy sources the option to sell the credits associated with the energy generated to UES.